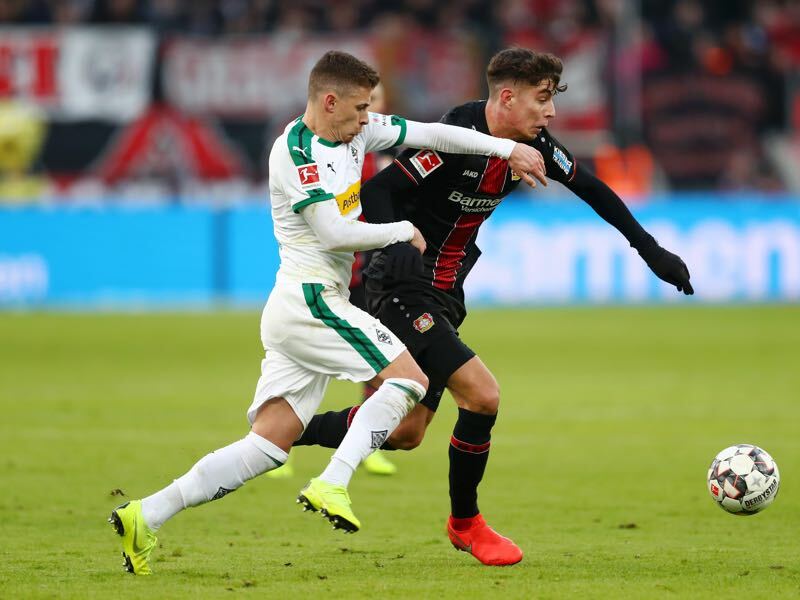 BayArena – Leverkusen v Gladbach – Alassane Pléa’s first-half strike gave Borussia Mönchengladbach a 1-0 victory against Bayer Leverkusen in Peter Bosz’s first match in charge. 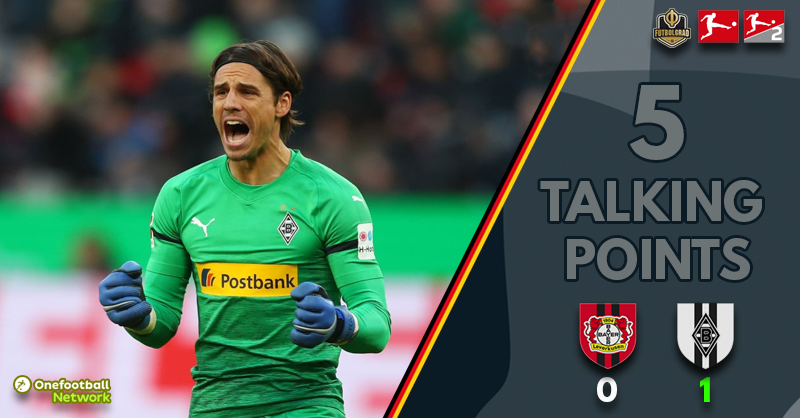 The Werkself largely dominated the match but couldn’t find a way past Yann Sommer and an equally determined Gladbach defence. Leverkusen v Gladbach was a danger game for Borussia Mönchengladbach and to emerge victorious away from home is a huge result. The Foals won all eight matches at the Borussia Park in the Hinrunde, but their away form has often been questioned. Their away form is likely to make the difference in their hunt for Champions League football next season, and this was a big step forward. Despite being on the back foot for much of the match, Dieter Hecking’s side soaked up the pressure in the first half and could have gone 2-0 up on the stroke of half-time with Nico Elvedi’s header saved by Lukas Hradecky. Hecking might have been happy with a draw before kick-off but will see this as further proof that his side have improved immeasurably this season. Gladbach’s ability to close out a match displays a maturity that was previously lacking and will provide plenty of confidence for the remainder of the season. It’s no secret that Lars Stindl does his best work dropping deep to initiate attacks. There was always going to be opportunities with Bosz opting for Charles Aránguiz as Leverkusen’s sole holding midfielder. Stindl had a few opportunities before a trademark manoeuvre saw him receive the ball in space and find Jonas Hofmann who assisted Plea’s winning goal. Tobias Strobl has been a revelation this season with the holding midfielder keeping Christoph Kramer out of the side. Strobl’s ability to find open space, use his impressive vision and execute passes has been a feature of Gladbach’s success this season, and it was on display once again here. Leverkusen were unable to minimise Strobl’s impact which was a failure from a scouting and tactical perspective, but that should take nothing away from a player that is having a great season and continually flying under the radar. Kai Havertz confirmed his status as a superstar in the making during the hinrunde and was tremendous once again despite playing on the losing team. Asked to play as a wide central midfielder in Bosz’s 4-3-3 formation, the 19-year-old tested Yann Sommer in the first half before coming alive after the break. Pushing higher up and playing with the freedom he requires, Havertz drove into the box which forced a good tackle from Denis Zakaria and was inches away from winning a penalty from Sommer. Havertz might have done better when shooting straight at Sommer from a corner before a header forced another good save from the Gladbach keeper. We saw Havertz start the season in midfield due to the injuries sustained by Aranguiz and Julian Baumgartlinger; then we saw him at his best playing closer to goal as a trequartista. It’s another dilemma Bosz needs to solve because there is little doubt Kai Havertz is still the best and most influential player for Bayer Leverkusen. Leon Bailey found himself on the outer under Herrlich but got the start here in his preferred right wing position. The Jamaican had a few one-v-one opportunities early on but was unable to get the better of Oscar Wendt or Nico Elvedi. With Karim Bellarabi switching to the left to accommodate Bailey it was only a matter of time before the wingers switched flanks which they eventually did so in the 60th minute. Bailey went close to winning a penalty but lasted only a few minutes longer before making way for Lucas Alario. Bellarabi was back to his best on the right wing as his fierce shot cannoned off the post before producing two crosses that went close to creating equalisers for Havertz and Volland. Another shot from a distance went close to making it 1-1 with Bellarabi giving Bosz little choice but to reinstate him on the right wing at Wolfsburg. Heiko Herrlich was sacked in large part for failing to find a balance between attack and defence and failing to get the best out of Julian Brandt and Leon Bailey. Peter Bosz took over, and many wondered if he was the man to rectify these deficiencies after his tenure at Borussia Dortmund. Bosz started with an attacking line up that featured Leon Bailey, Julian Brandt, Kai Havertz and Karim Bellarabi behind Kevin Volland. Charles Aránguiz was tasked with protecting the defence and did an admirable job under difficult circumstances especially in the second half when Leverkusen went for broke. It wasn’t a bad performance from Leverkusen, and if Bellarabi’s shot went in instead of hitting the post, it may have been a different outcome. 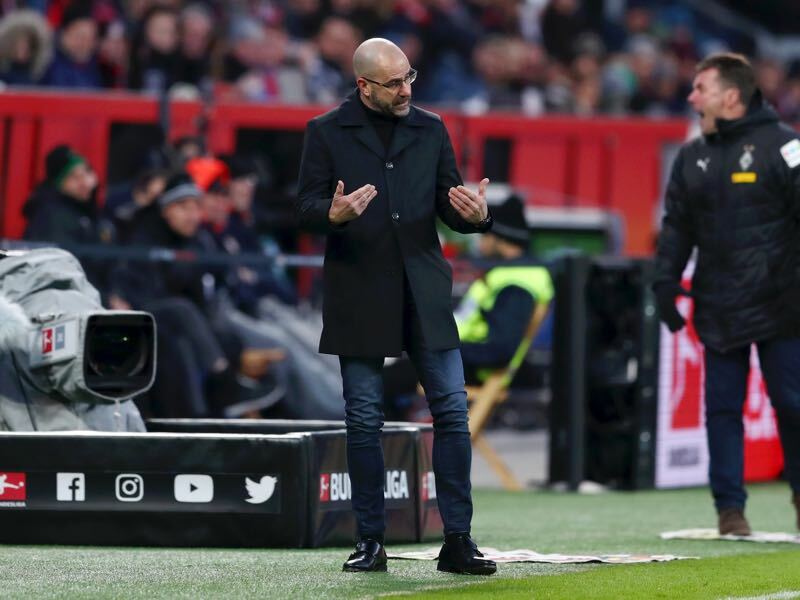 Bosz needs time to make adjustments, there were plenty of positive aspects in this performance, but the concerns that were evident under Herrlich have far from disappeared. Gladbach were always going to have opportunities on the counter-attack, but the fact they didn’t produce more chances was largely down to protecting their lead. It’s going to be fascinating viewing watching Leverkusen under Bosz, but my initial impression is that it will be much of the same. Watch this space.